Brother Ken Jennings, who frequently writes for Kappa Phi Lambda Chapter under the name Brother Ojise, was initiated into Alpha Phi Alpha Fraternity, Inc. on June 28, 1952 at Omicron Chapter at the University of Pittsburgh. 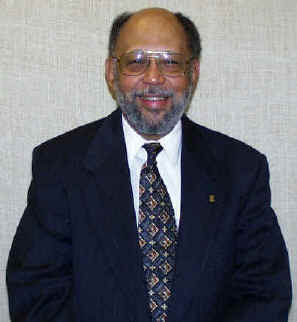 His essay on "The African-Centered Focus of Early Alpha Phi Alpha" was published in the summer 1997 issue of The Sphinx. Prior to his retirement in 1995, after 39 years of federal service, he had worked in management positions for the Social Security Administration and the U. S. Public Health Service (PHS). At retirement from PHS he was Chief of the Internal Control Branch and was responsible for review and evaluation of all management control systems in the agency that spent over $19 billion a year to protect the nations health. Brother Jennings is very active in the community of Columbia, Maryland where he is Vice President for Operations of both The African American Coalition of Howard County and African Americans In Howard County Political Action Committee. Also, he is Secretary of The Council Of Elders Of The Black Community Of Howard County. Moreover, he is a Past President of our Alpha Chapter. However, its not all work and no play. Brother Jennings has run marathons, studied Judo, was a long distance cyclist and white water rafter. Recently, after 40 years absence, he again is studying the Alto Saxophone and is playing in two bands - the Goldenaires (a senior citizen band) and the Howard Community College Jazz Ensemble. In recent years he has made three trips to Ghana and one to the Nile Valley in Egypt. In 1957 Brother Jennings married Eleanor Morrison. They have two daughters, who are graduates of Hampton University and married to Alphas, and there are four grandchildren. In 1957 Brother Jennings married Eleanor Morrison. They have two daughters (Darlene and Denise). who are graduates of Hampton University and married to Alphas (Brothers Calvin Millner and David Hagans), and there are four grandchildren. Brother Jennings began writing the essays several years ago to express a view point on issues from an Afrocentric perspective. He writes using the name Ojise which means "messenger" in the language of the Yoruba people of Nigeria. Many of the essays which first appear in our chapter newsletter are then published in the newsletter of the African American Coalition Of Howard County and disseminated to persons throughout our county and state.